Before we begin... 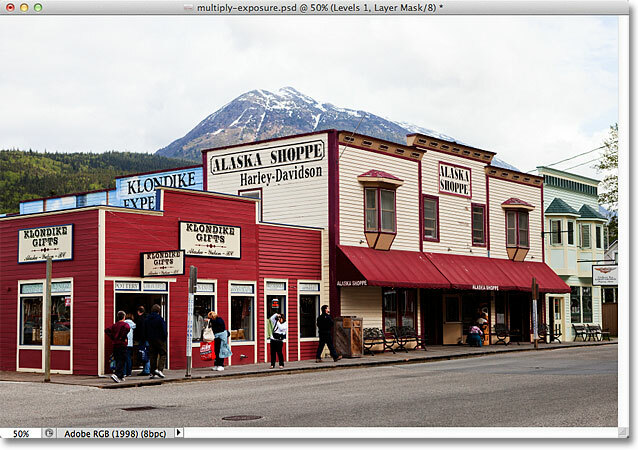 This version of our Darken Underexposed Photos tutorial is for Photoshop CS5 and earlier. 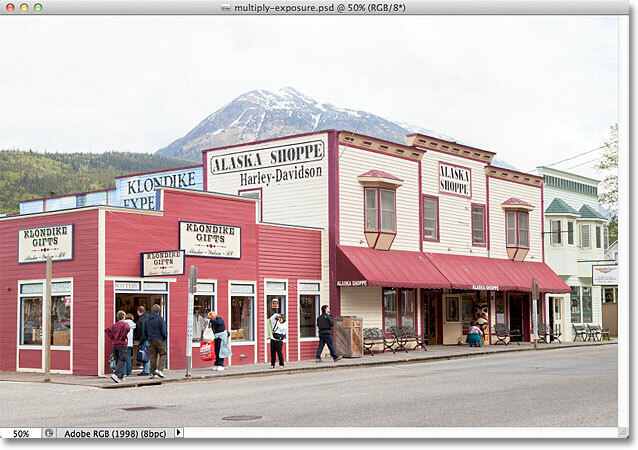 Photoshop CC and CS6 users will want to follow along with our new How To Instantly Darken Overexposed Images tutorial. In a previous Photoshop tutorial, we learned a quick and easy way to brighten underexposed photos using nothing more than simple adjustment layers and the Screen blend mode. In this tutorial, we'll learn a very similar way to darken and tone down overexposed images. In fact, the only real difference between this technique and the previous one is that this time, we'll be using a different layer blend mode! As I mentioned in the previous tutorial, these two methods for fixing simple exposure problems are best suited for images that were taken for fun. They do the job, but they won't give you the same professional-level results you would get from doing a proper tonal correction with Levels or Curves. Photoshop's layer blend modes are a fast and easy way to brighten or darken images, and you'll often get great results from using them, but again, for images that hold some greater importance (wedding photos, client photos, etc. ), you'll usually get better results with Levels or Curves. Since this image has the exact opposite exposure problem (overexposure) as the image in the previous tutorial (underexposure), we'll use the exact opposite layer blend mode to fix it! If you've already read through the previous tutorial, a lot of this will seem very familiar to you. Let's get started! Select Levels from the list. If you're using Photoshop CS3 or earlier, Photoshop will open the Levels dialog box, displaying the image histogram and other options. Don't worry about any of it. Simply click OK to close out of the dialog box because we don't need to make any changes. All we need is the adjustment layer itself. For Photoshop CS4 and CS5 users (I'm using CS5 here), the histogram and other options for the Levels adjustment layer will appear in the Adjustments panel. You can leave the Adjustments panel open on your screen but again, just ignore it because there's no need to make any changes. The Levels adjustment layer sits above the Background layer. Change the blend mode of the adjustment layer to Multiply. The photo after changing the blend mode of the adjustment layer to Multiply. Lower the opacity value of the adjustment layer to fine-tune the results. The original (left) and darkened (right) versions of the image. And there we have it! To learn much more about the Multiply blend mode, be sure to check out our Five Essential Blend Modes For Photo Editing tutorial. Or check out our Photo Retouching section for more Photoshop image editing tutorials!